While for many with disabilities, life is often much harder than it is without, we've seen several cases where technology can offer up advantages. From 3D printing for better prosthetic devices and a host of other technologies that improve conditions for the disabled. Now, Google is not only putting some serious cash behind a push to offer help, but it's also putting out a call for help with the Google Impact Challenge. Google is offering up $20 million in Google.org grants, targeting nonprofits that put new technologies to work in improving independence for those with disabilities. That's a great step, but the Google Impact Challenge takes it farther, opening a call for “what ifs” for the disabled. The Google Impact Challenge will evaluate these various visions, and then offer up help in the form of personnel and resources to spur development. Immediately, the company was set to support two organizations, Enable and the World Wide Hearing group. World Wide Hearing got a $500,000 grant to develop and test an “extremely low-cost” tool kit for hearing loss using a currently-available breed of smartphone technology. Meanwhile, the Enable community is one of those doing what was mentioned above: connecting those who need prosthetic device with those who can make and ship such things. Enable took a $600,000 grant home in support of its efforts. Such a program actually strikes home for Google on a personal level; a blog post detailing the kickoff described program manager Laura Palmaro, who started her freshman year of high school legally blind. But with screen readers and magnification software, Palmaro was able to get back much of her capability and even work with Chrome and Chrome OS teams to make such products more accessible to the disabled. There are a host of technologies out there, and it's not hard to see these technologies being used to bring new life to the disabled. 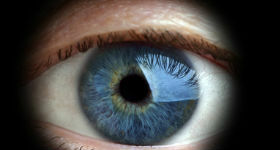 We've even seen, in some cases, the blind getting limited sight restored thanks to ocular implants and direct connection to the optic nerve. Technology in aiding the disabled can sound like the stuff of science fiction: the graphic novel series “Transmetropolitan” sums it up with a quote: “Build a sophisticated camera capable of full 3D input and peripheral pickup using only water and jelly. Build an eye.” While we can't go anywhere near that far, a plastic and metal camera that does such things is quite within our grasp. Getting it to work with the brain is tougher, but may only be a matter of time. Time and resources; two things that Google has in abundance. Are we far from being able to build an eye? Can Google, backed up by its deep pockets and huge manpower, make a future where disabilities are only minor inconveniences to be overcome with the right devices? During the upcoming Wearable Tech Expo, July13-15 at the Javits Convention Center in New York City, Alberto Torres, CEO at Atheer Labs will present during a session titled, “Future of Smart Eyewear in a Post-Google Glass World,” which will take a closer look at what the smart glass market looks like today.